Tomorrow is Pi Day. 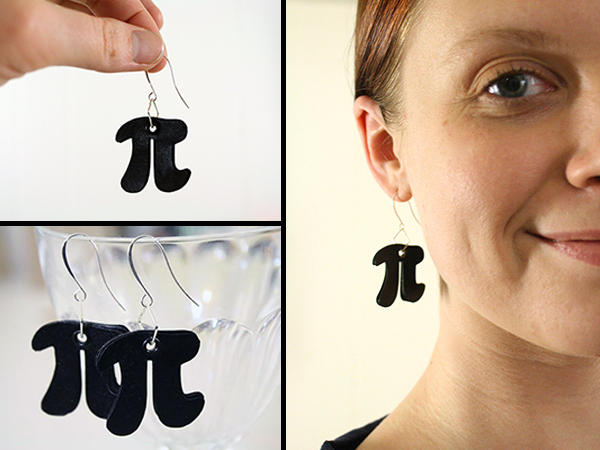 To celebrate, Natalia Heilke made paper pi earrings and posted a tutorial on her blog, Tally’s Treasury. Natalia Heilke at Tally’s Treasury. In junior high, our teacher told us that most people don’t remember the approximate value of pi beyond the two first decimals. To mess up the averages, I decided to learn it by heart up to eight decimals. That’s just how geeky I roll. 🙂 I still remember it, even though I haven’t had anything serious to do with math in 20 years: 3.14159265.